Tapsya 70 GrandWalk – an ultimate Mixed use destination contains a walk able leisure hub, multiplex, food court unmatched workplaces and spacious managed living spaces . Thoughtfully planned, ‘70 GrandWalk’ is perfect blend of style and functionality. 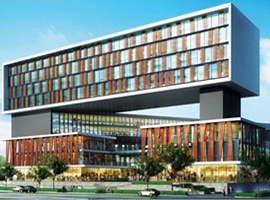 Spread over 3 acres of area, the project faces 60mts and 24mts wide road in the core of Sector 70,Gurgaon. ‘70 GrandWalk’ is a G+11 floors of development with 3 level of basement parking. Nearly all Commercial shops in gurgaon enjoys visibility from 60mts and 24mts road and on inside 30ft and 24ft atrium. Splendid entertainment, fine epicurean adventure and professionally administered workplace and Living spaces. Excellent connectivity to Gurgaon-NCR through an upcoming metro. 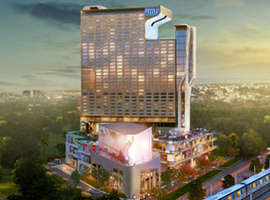 Amenities include Food Court , ATM’s, Restaurants, Cafe, Health Club etc. 3 level of basement parking. 24 ft and 30ft wide atrium. Quality Services for managing Office space & Residences. Two side open plot ensure high visibility & excellent branding.